The U.S. Government Accountability Office (GAO ) denied a protest filed by Sierra Nevada Corporation on Jan. 5, after the Louisville, Colorado-based firm’s Dream Chaser spacecraft was not selected to move forward under the Commercial Crew transportation Capability phase of NASA’s Commercial Crew Program. The protest was filed after the Sept. 16, 2014 announcement that NASA had selected Boeing’s CST-100 and SpaceX’s Dragon spacecraft to provide transportation services for astronauts to the International Space Station. In their protest, SNC stated that the evaluation NASA conducted went outside what the space agency had said would be conducted. Deviating from the criteria that SNC had expected Dream Chaser to encounter. The company also suggested that competitors were not provided with notification as to what the central objectives would be in terms of the determining factors in the evaluation and selection process. Sierra Nevada offered its Dream Chaser crew transportation system (a lifting body spacecraft), launched using United Launch Alliance’s Atlas 5 launch vehicle, and landed horizontally on normal runways. Sierra Nevada’s price was $2.55 billion. NASA had decided that CST-100 and Dragon V2 represented the best proposals in terms of a return on the government’s investment under commercial crew. 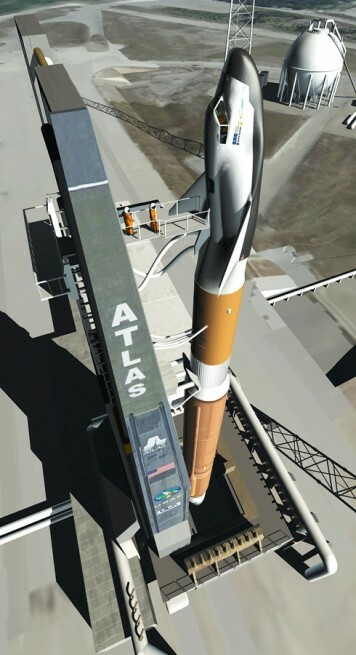 The CST-100 was viewed as the strongest of the three candidates for technical, management reasons as well as past performance by its manufacturer, Boeing. In terms of SpaceX, the most dominate cause for the selection of the Dragon V2 – was its lower cost. NASA issued the following response to the GAO’s decision. The GAO stated that despite contentions made by SNC, the Request For Proposals that NASA issued – stated clearly that each proposal would be reviewed with the objective of having the spacecraft be certified by the close of 2017. SNC also had questioned the validity of SpaceX’s claims concerning the price and financial resources that were at the company’s disposal. According to Sierra Nevada, this served to skew the evaluation process, specifically the mission suitability evaluation factor. The GAO stated that these claims were not supported either by the evaluation record or by the terms of the solicitation. In regard to the aspects of the various offerings under CCtCap, the GAO issued the following statement: The GAO decision takes no position on the relative merits of these proposal approaches to NASA’s Commercial Crew Transportation Capability Contract. Instead, GAO reviewed the conclusions reached by NASA to determine if they were reasonable, and consistent with the evaluation approach NASA set out in its solicitation. Specifics about the decision made by the GAO contained sensitive information concerning source selection and proprietary nature, as such, these elements were not released to the general public and were only made available to either select NASA personnel or to outside counsel (those admitted under the GAO protective order issued for this protest). A public version is expected to be released in the near future (within the next few weeks). Sierra Nevada’s Dream Chaser space plane was unique among the CCP candidates as it was the only lifting-body design, essentially a mini shuttle which would have been launched atop a United Launch Alliance (ULA ) Atlas V 401 booster, rendezvoused and docked to the space station – and then landed back at Kennedy Space Center’s Shuttle Landing Facility. 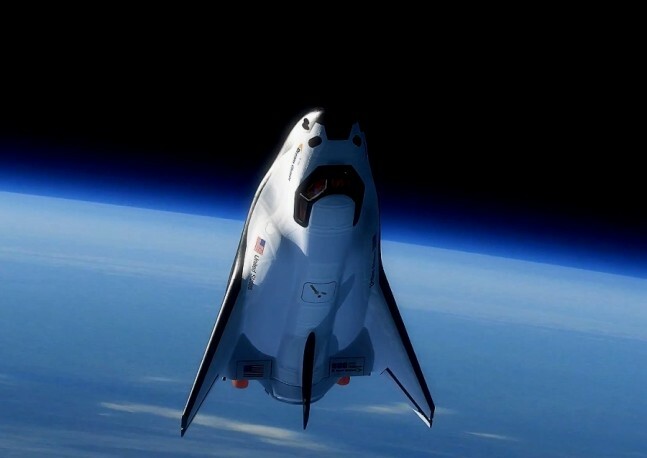 Even though NASA might have taken a pass on the Dream Chaser – other space agencies have expressed interest in the design. Both the European Space Agency and Japan Aerospace Exploration Agency are considering the spacecraft for use. Another one bites the dust in SpaceX’s wake. Maybe if SpaceX would’ve not bid, then, SNC would be a finalist. Maybe if NASA had built a Super Heavy Lift Vehicle after Apollo instead of the space shuttle as a do-everything-pay-for-itself cargo bay of dreams then we would have a space program instead of some tin cans going in circles. Going nowhere. There never should have been a SpaceX- it is actually a joke compared to what we are capable of. Gary Church SpaceX was started by a private effort between Musk & several others. The fact that they succeeded where many others have failed is worth noting. Eventually private industry efforts had to come to fruition. This is what should’ve happened as follow-on to Apollo. Oh, and our capabilities are starting to ramp up. No administration can terminate the Dragon spacecraft or the F-9 launch vehicle, because it is in private company hands. What “should have happened as a follow-on to Apollo” was a much larger launch vehicle than the Saturn V and a base on the Moon. SpaceX is actually a sad example of how far the mighty have fallen. You can call it what you want. The company has sucked up enough tax dollars and free NASA support to start launching satellites but whether they can go it alone or if they can do anything else has yet to be seen. Considering how far behind schedule they are I doubt they will ever fly anyone to the ISS. The faux escape system on the toxic dragon is a huge red flag. The company was started by Musk but NASA and tax dollars made SpaceX real and the taxpayer will never see a return for it; SpaceX shareholders will. Eventually private space efforts will not come to fruition; they will fail to go anywhere. Only Super Heavy Lift Vehicles and vast governmental resources can take humankind Beyond Earth Orbit. New Space is the worst thing that has ever happened to space exploration.